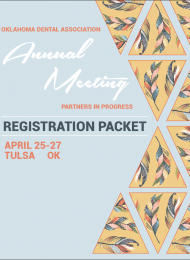 The ODA Annual Meeting brings together more dentists, specialists, hygienists, dental assistants, dental spouses and front office staff than any other meeting in Oklahoma. The investment your company makes in exhibiting can be easily offset by the exclusive access you have with dental professionals from around the state. Whether it's participating in ODA Bingo, sponsoring a speaker or social event, advertising in the Annual Meeting Program or participating as an exhibitor, there is something to fit your marketing goals. 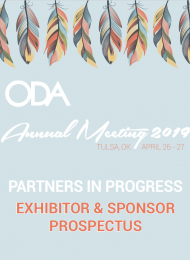 For exhibitor questions, please contact exhibits@okda.org.